Sweepers Sweepers are floor cleaning machines used in many industrial, commercial and public settings to provide safer and cleaner work environments, homes and public spaces. Sweepers can be designed for indoor use on carpet as well as hard surfaces, and it can also be designed for outdoor use on small and large scales. 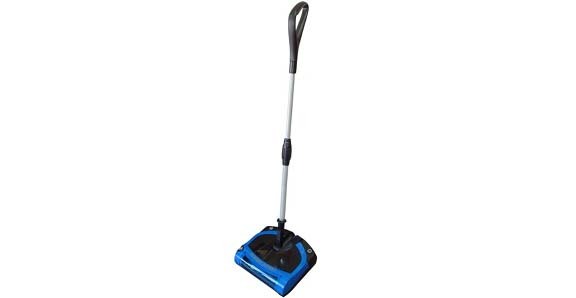 Sweepers are used in homes and in institutions and are a reasonably inexpensive tool for light cleaning applications. They usually don't require electricity, though some models can be battery powered, which can offer slightly higher-efficiency sweeping. On the other end of the sweeper spectrum, engine-powered street sweepers equipped with very large brushes are used to clear debris from streets in urban and suburban areas. Sweepers – Gordon Brush Manufacturing Co.
Street sweepers vary in their configurations; some are powerful enough to sweep up large debris like bottles and cans, while others are intended only to clear caked dirt and small debris from streets. Others can clean up spills or standing water, and the most advanced models can remove and contain particles of just a few micrometers in size. There are many sweeper varieties found in between street sweepers and manual sweepers. Indoor sweepers and scrubbers can vacuum, wash, buff or polish floors. They are usually motorized, and depending on the application they can be pushed, pulled or even ridden. All sweepers, regardless of their size or application, are equipped with brushes. Different types of brushes are designed for street sweeping, indoor sweeping, floor scrubbing, buffing and polishing, all of which are done far more quickly and with far less labor cost when performed with industrial sweepers than when performed by hand. Industrial vacuum sweepers may be large street trucks with sweeping attachments, they may be much smaller riding models for sidewalks, street gutters and large warehouse floors, or they may be even smaller walk-behind models only for indoor floor cleaning. 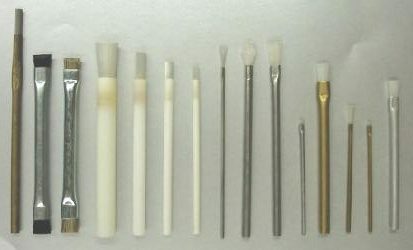 All industrial sweepers are equipped with industrial brushes. Sources of power include electric batteries, gasoline, diesel, LP and, in some cities that have invested in renewable fuel technology, vegetable oil-powered engines. As the sweeper moves across a surface, several heavy-duty cup brushes on the front and sides of the sweeper push debris into the center of the sweeper. Once debris is trapped under the unit, brooms and suction fans use throwing action to transfer dust into a hopper. After the hopper is full of debris, it must be emptied. Emptying the hopper can be done manually in smaller models, and larger models have mechanical arms that raise their dump hopper high enough to clear the lid of a dumpster.